When we saw this great new deal at PhotoBarn, we knew we needed to add them to Sunshine Rewards! 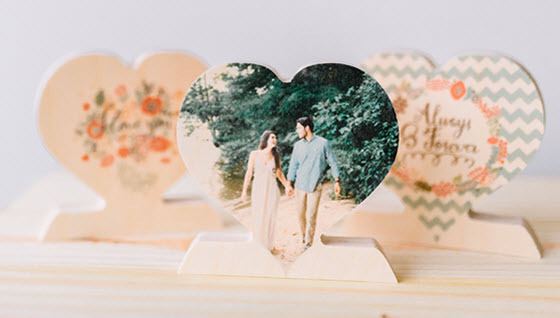 For a limited time, use coupon code FREEHEART and you will get a double-sized, customized wooden photo heart for only the cost of shipping. The heart measures 4 inches by 4 inches and includes a stand. You can choose photos or patterns for one or both sides. What an adorable gift! PhotoBarn is also running some other great coupons right now including 50% off plus free shipping (code 50ANDFREE) for Father's Day and an 8×10 PhotoBoard for only $15 (regularly $60) with code PB8X10.